Miller School’s baseball team ran into a tough Benedictine squad Thursday night at home, and the VISAA Division I’s No. 1-ranked Cadets beat the Mavericks 12-2. Miller struggled to produce against Coastal Carolina-bound pitcher Casey Green, who struck out eight in five innings of work while allowing just two hits and two walks. 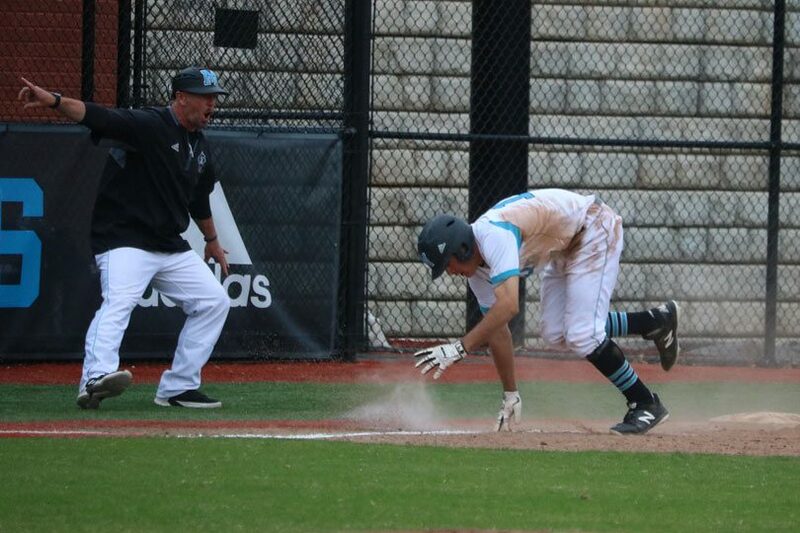 The Mavericks’ lone runs came in the fourth, when Jacob Exum got things started with a double and then Vince Dileonardo switched places with Exum before snagging third on a passed ball and then racing home on an overthrow to third. Those two runs got Miller in striking distance at 5-2, but Benedictine erased that work in the next inning and kept building the lead with a trio of home runs in the fifth and sixth inning. Brett Cook, Jack Hall and Nick Neighbors all three hit homeruns in that stretch that transformed a tight 5-2 game into a comfortable 10-2 lead for the Cadets. Cook went 2-for-3 with two RBI while Hall went 2-for-4 with four RBI. Jay Woolfolk, Nick Neighbors and Green each also knocked in runs. Bennett Lloyd closed the game on the mound for the Cadets with two no-hit innings, striking out four. Exum, Lucas Adam, Laken Tignor and Dileonardo provided the Mavericks’ four hits. Miller will look to bounce back Saturday on the road against Fredericksburg Christian.